When you walk through the halls of St. Aloysius Academy, you become part of a community that embraces you as part of the family. We rely on you, our family, to contribute above and beyond tuition to ensure we are able to continue to offer students an exceptional education. Founded in 1895 by our IHM Sisters, we want to continue their legacy and build towards the future. 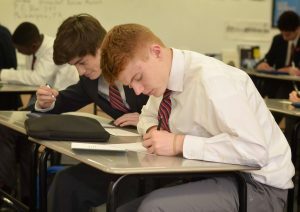 The St. Aloysius Academy Fund helps to defray tuition expenses, offer financial assistance, develop academic programs and resources, expand extra-curricular opportunities, make facility improvements and strengthen the Endowment. 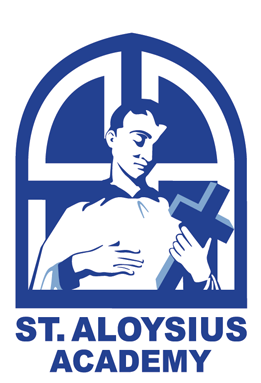 Your Annual Fund donation is the most important gift you can give to St. Aloysius Academy. Donate today! A gift to St. Aloysius Academy can provide your company with a substantial tax credit through the Educational Improvement Tax Credit (EITC) as well as the Opportunity Scholarship Tax Credit (OSTC) programs. By making a contribution to St. Aloysius Academy’s scholarship fund, your company can save as much as 90% of the value of the gift in Commonwealth of Pennsylvania tax. Click here for more information. The 1895 Legacy Society was created as a way to recognize alumni, family and friends who have included St. Aloysius Academy in their wills or trust arrangements. Planned giving is another way to make gifts to St. Aloysius Academy while meeting the long-term needs of your estate planning. These gifts may take the form of bequests, charitable gift annuities, charitable remainder trusts, property, pooled income funds, charitable lead trusts, retirement plans, life insurance policies, and many more. With matching gifts, you may sometimes double or even triple your gift. Many employers sponsor matching gift programs and will match charitable contributions made by their employees. Gifts of securities, including closely held stock and mutual funds may be donated to St. Aloysius Academy directly from your brokerage account to the Academy’s account. Each October, family, friends and alumni of St. Aloysius Academy gather the Monday after Homecoming weekend to hit the links and raise funds for our STREAM (Science-Technology-Religion-Engineering-Art-Math) curriculum. It’s a fun-filled day all to support St. Aloysius Academy students. Click here for more details. The GALA is an exciting and exhilarating evening that raises funds to support St. Aloysius Academy and our students in delivering a variety of resources, programs and renovations that enhance the 21st century learning environment students experience on a daily basis. Click here for more information. For many years, families and individuals have been “building the legacy” of St. Aloysius Academy. Purchase a brick to remember a loved one, family or an IHM Sister or faculty member of St. Aloysius Academy and populate the Wildcat Walkway in Gonzaga Courtyard. The annual Fashion Show is an exciting, fun-filled day at Overbrook Golf Club. Guests enjoy lunch, vendor shopping and a glamorous runway show. Click here for more details. Shop at smile.amazon.com and Amazon will donate 0.5% of the purchase price to St. Aloysius Academy. On your first visit to Amazon Smile, select St. Aloysius Academy for Boys to receive donations from eligible purchases before you begin shopping. Amazon Smile will remember your selection, and then every eligible purchase you make will result in a donation.